The first time one spots fine lines, crows feet, brown spots, or eleven lines on their face, one is probably only in their late twenties, but it feels like the start of a slippery slope into looking like a full-fledged card-carrying AARP member on their way to get a free senior coffee. To combat signs of aging, dermatologists recommend a combination of Vitamin C serum and Retinol. Considering starting a Vitamin C/Retinol topical skin care program? 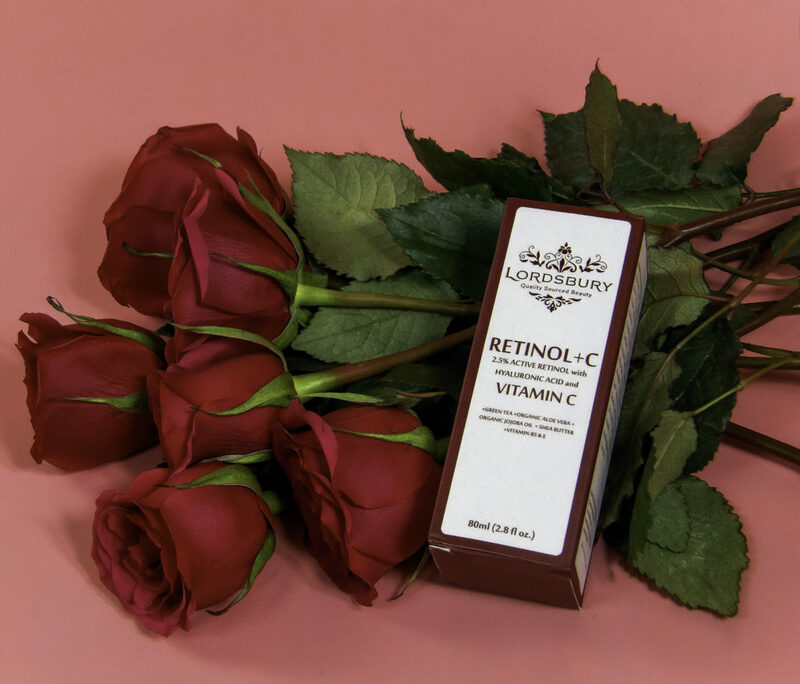 Find out exactly what to expect and when from this topical anti-aging power couple, as found in Lordsbury Retinol+C Moisturizer. Aging skin sneaks up on you. Your skin may seem dull, less dewy or vibrant, but not old, just… lackluster. This aging starts in our late twenties when collagen starts to decrease, and by 40, aging typically exhibits in increased uneven pigmentation, dark spots, redness, broken capillaries, along with the usual aging suspects of wrinkles, crinkles and sagging. It’s easy to focus on the wrinkles and sagging, but the discoloration, dullness and cumulative sun damage effects are far more aging to the overall facial appearance. According to an article in the December 2006 Clinical Interventions in Aging Journal, “solar UV radiation unquestionably is the single major factor responsible for skin aging” (Clin Interv Aging. 2006 Dec; 1(4): 327–348). 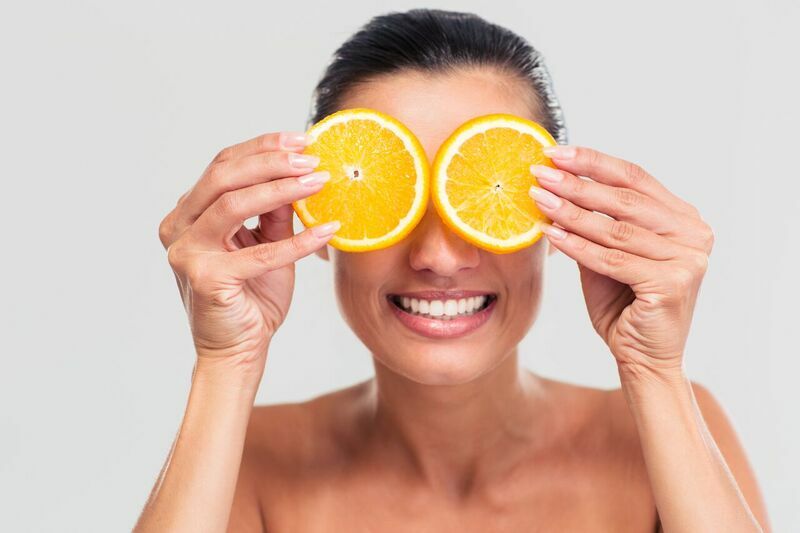 Fortunately, both Vitamin C and Retinol excel at both building more collagen and undoing sun damage, its’ resulting discoloration, and skin texture changes, as well as restoring a youthful glow regardless of age. While there is a slew of anti-aging remedies and products out there, this sun damage reversal ability is one of the chief reasons that dermatologists will recommend a Vitamin C and Retinol combination. The temptation in anti-aging skin care is to panic and use too much too soon, attempting peels, scrubs, and topical treatments all at once, leading to dry, irritated skin. But the tried and true combination that addresses the broadest scope of anti-aging issues is Retinol and Vitamin C. We like Lordsbury Retinol+C Cream Moisturizer because it’s an all-in-one product that combines a 2.5% pure Retinol with 20% Vitamin C serum plus Hyaluronic Acid for deeper penetration, plus a host of moisturizers to buffer the powerful active ingredients. Vitamin C is needed for collagen production. Collagen is the scaffolding of the skin, keeping it supported and firm. We produce less collagen as we age, and we also lose collagen, which is tantamount to pulling bricks out of a wall – it eventually causes sagging and deterioration. But these missing “bricks” in the skin can be patched with Vitamin C application to produce more collagen. Because the skin makes less collagen as it ages, it’s helpful to apply Vitamin C topically to have it present at the cellular level where skin makes collagen, as Vitamin C is involved in all three collagen production processes. Vitamin C also fights free radicals which age the skin via oxidation and exposure to pollutants. Vitamin C fades away discoloration without bleaching it, just returning the skin to its’ natural tone. Retinol helps retain existing collagen by preventing collagen breakdown and stimulate new collagen production. It is a great pairing with topical Vitamin C that provides the production process tools while Retinol gives the skin “orders” to make more collagen. It also increases skin thickness which makes it less prone to wrinkle and appear more even in tone. It breaks up discoloration and scars, which makes it easier for Vitamin C to fade it away. And it sloughs away dead skin cells and encourages new, younger skin to take its’ place. 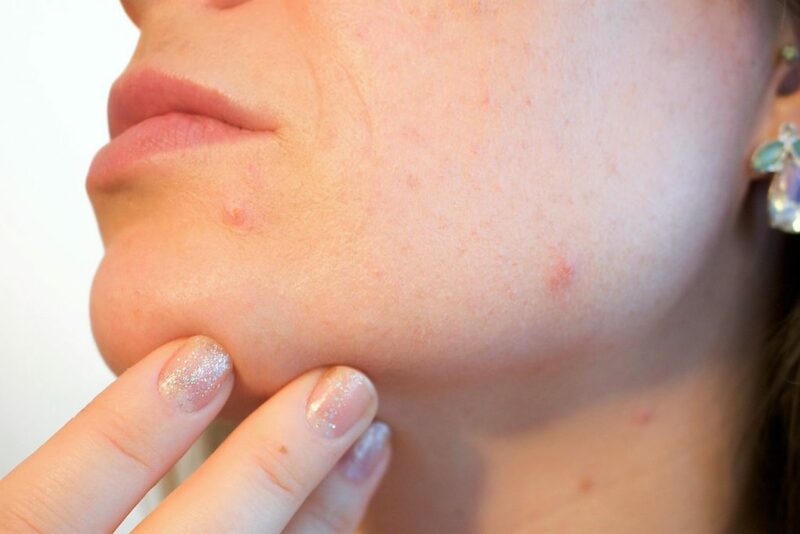 It shrinks pores, which tend to enlarge with age, and purges blackheads. Retinol also uniquely retains the healthy glow or luminosity of youth that no other product or active ingredient can truly emulate or effect. If you have ever seen an older person without wrinkles or sagging, but their skin does not glow, you know they are maintaining their skin in some unnatural (surgical, laser or injectable) fashion. That glow is what gives older skin a natural young look. Vitamin C and Retinol both accomplish different parts of many of the same tasks, making them a great team. TIMEFRAME: WHEN CAN I EXPECT RESULTS? Results can be seen between a week to three months, depending on the type of aging concerned. The return of skin radiance happens fairly quickly, whereas reversing deep wrinkles and sagging requires collagen production which can take a few months of daily Retinol and Vitamin C use to start to visibly show. A key factor in how long it takes for Retinol and Vitamin C to improve skin is how well you tolerate the flaking, redness, and dryness that occurs with many retinol and even some Vitamin C products. Many people can only tolerate every other day Retinol use. This will delay results. 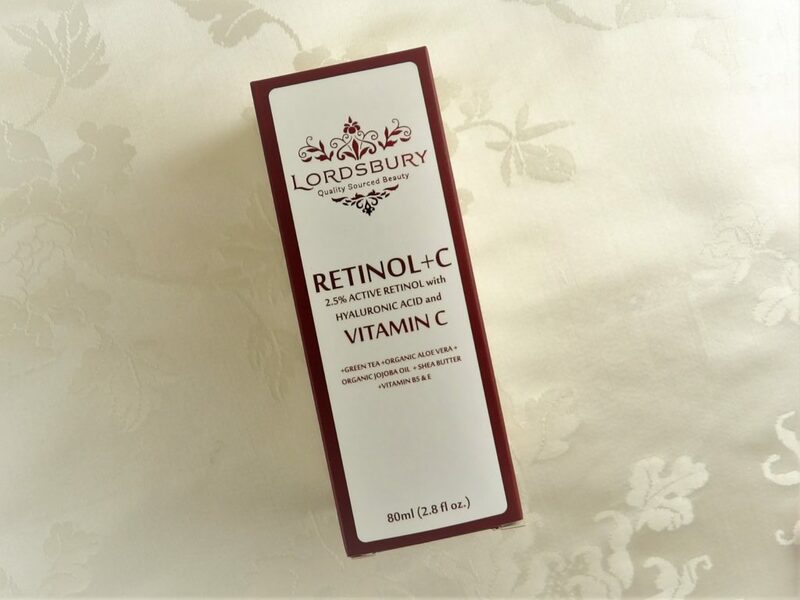 A Retinol we like is Lordsbury Retinol+C Cream Moisturizer because it contains 2.5% pure retinol, 20% Vitamin C serum and a host of natural moisturizers that serve as a gentle buffer so effective that it can be used twice a day with zero skin irritation, even around the delicate eye area, and even for those with very sensitive skin, like myself. This famous elusive Retinol glow appears just after a major skin sloughing. And it is fabulous. Within the first week or two, the combination of Vitamin C and Retinol leads to rapid dead skin turnover, which makes skin look and feels soft and smooth, like after exfoliating. Wrinkles appear smaller and less deep because the light reflects better off of smooth skin than dead skin cells, but wrinkles are not actually improved at this stage, they are just attractively “buffed”. Prescription retinol is highly effective in dead skin sloughing but tends to have several weeks of itchy peeling to suffer through. 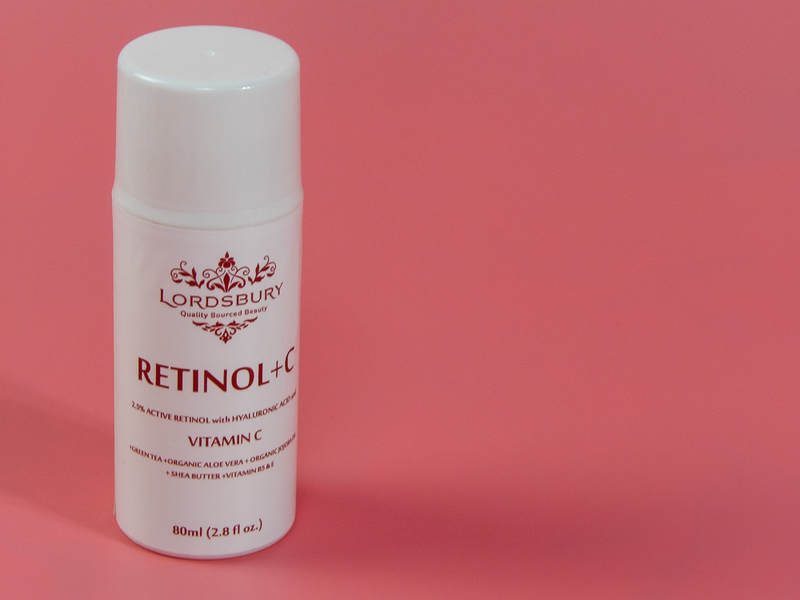 Lordsbury Retinol+C Cream Moisturizer also has rapid dead skin turnover, but without tell-tale peeling or redness often seen in prescription retinol. A particularly satisfying part of Vitamin C/Retinol use is watching pores shrink down to nothing and blackheads mass exit your face, even the stubborn ones around your nose. This pore-shrinking is surprisingly youthifying, as it’s something that unknowingly makes one look older. Vitamin C tackles acne quickly. Retinol removes the dead skin cells and sebum congesting pores. There is a brief period a few weeks into retinol use that the pores purge with a temporary major breakout, then skin remains largely clear after that period. Cystic acne takes longer to clear but daily Vitamin C use is excellent for shrinking the inflammation out of cystic acne. This is one of Retinols and Vitamin C’s best tricks, reversing years of sun damage. How fast you see results depend on how much damage you have, but even severe sun damage can be vastly improved within three to six months. Vitamin C builds collagen and fades discoloration, improving sun damaged skin’s texture and even tone. According to the same article cited above, Retinol is the most effective treatment reversing skin damage, generally within three to six months, but most users won’t tolerate the burning, scaling, itching, peeling and general dermatitis issues associated with retinoid therapy. This is where buffering your retinol with moisturizers, such as those found in the all-in-one Lordsbury Retinol+C Cream Moisturizer, becomes crucial to assure regular, consistent use. Few treatments can hold a candle to what daily use of Retinol and Vitamin C can do for the skin in terms of reversing sun damage and restoring the skin. The key to making this program work for you is finding a Retinol and Vitamin C that you can use consistently each day without excess irritation or redness. 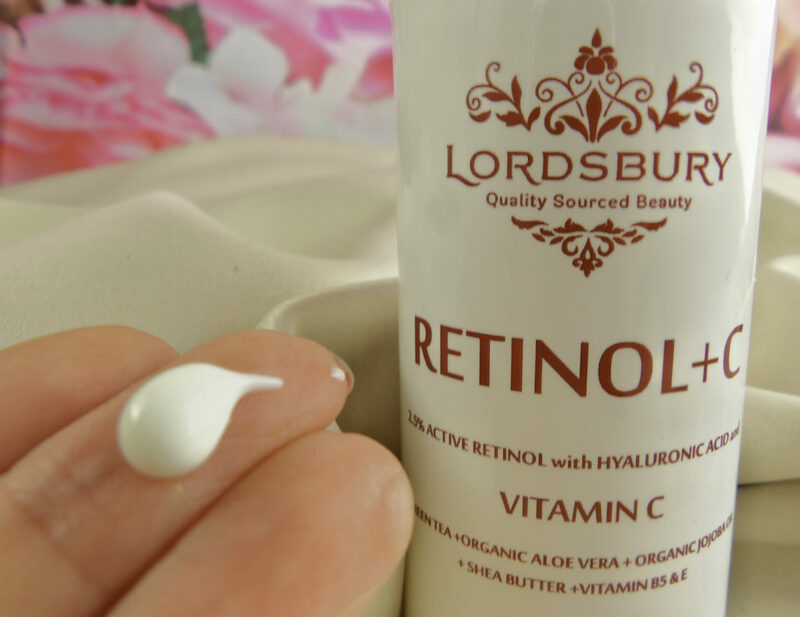 Lordsbury Retinol+C Cream Moisturizer provides 2.5% pure Retinol with 20% Vitamin C serum in a highly moisturizing cream base that contains many natural moisturizing agents so that you can tolerate daily use. In fact, you can use it twice a day without irritation. Once you see the wonderful youthful luminosity that Retinol can give your skin, you won’t want to stop, so Lordsbury gives the ability for daily use without any irritation, just soft, smooth, increasingly younger and better skin. Style Chicks received compensation for our time and effort as Brand Ambassadors of Lordsbury. However, our experience with the product and the opinions expressed in this review are 100% ours. We eat Avocados to improve our skin, hair, nails, and bodies from the inside, why not apply it topically to enhance the beauty benefits? 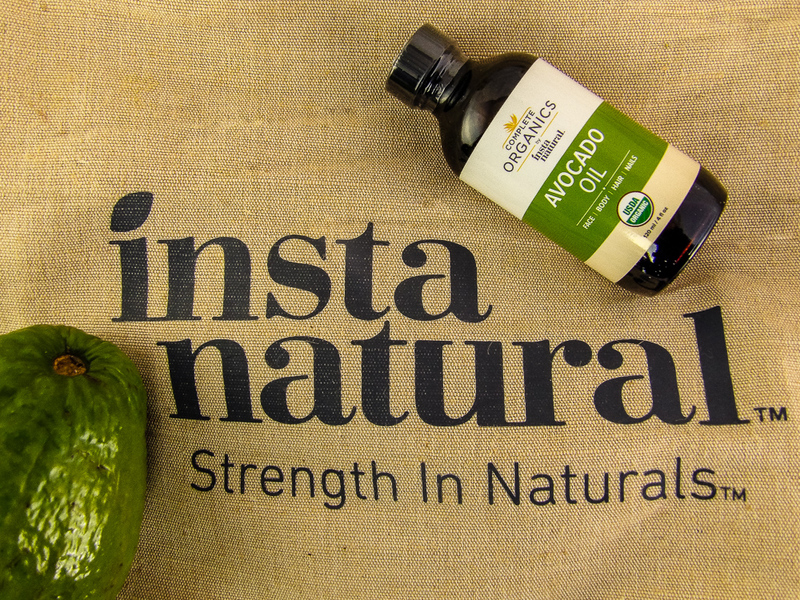 Complete Organics InstaNatural Avocado Oil makes for an excellent addition to a pre-shampoo conditioner, whether on its’ own or combined with other oils or even store bought hair conditioners. It adds shine, thickness, hydration and bounce right down to the very ends. Use it to rejuvenate hair made crunchy by alcohol riddled styling products, hot styling tools, and environmental stressors such as cold air, wind, and forced indoor heat. Unlike some brands of Avocado oil we’ve used, Complete Organics by InstaNatural actually smells like Avocado and has a thick, golden-green color. It absorbs well and is not greasy. I pump some into my hand, rub my palms together and apply it directly to my hair ends and work up to the scalp to smooth, plump and add bounce. It makes brittle hair more pliable in as little as 15-20 minutes, which makes it an ideal multi-tasking workout conditioning treatment that doesn’t leave hair sticky or greasy looking. I mix a few pumps of InstaNatural Avocado Oil in a bowl with just a basic hair conditioner to turn my conditioner into a super vitamin packed pre-shampoo hair masque treatment. Also great on stubborn cuticles, legs and for soothing chapped lips and dry winter facial skin. A little goes a long way. Massaging avocado oil into your scalp also prompts blood flow to your hair follicles. Avocado Oil is 72% monounsaturated fatty acids (higher than the trendy Coconut or Grapeseed). Monounsaturated oils readily penetrate into the hair strand. Avocado Oil also has a slight polarity (it mixes with water better than other oils) meaning it can uniquely penetrate the hair cortex. This polarity also makes it excellent for blending with other hair or skin conditioning agents, whether water or oil based. High levels of antioxidants like Vitamin E, are well absorbed into our scalp and hair strands. What does this mean for you? 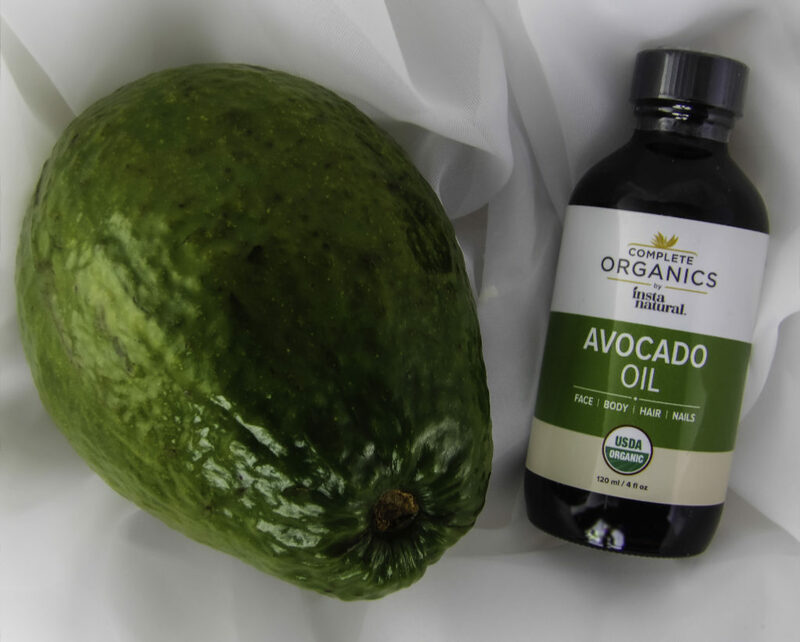 A good Avocado Oil, like this Complete Organics InstaNaturals Avocado Oil, can super-size any basic hair conditioner or skin moisturizer, into an effective hair masque or skin masque treatment. 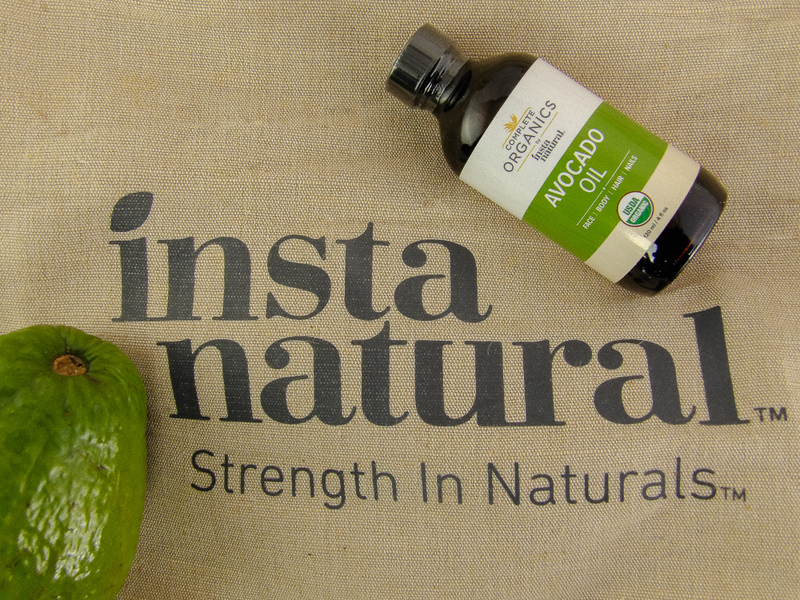 Complete Organics InstaNaturals Avocado Oil comes boxed and sealed with a convenient pump-top for ease of use. It also makes for a non-greasy, highly absorbent skin moisturizer. I like to apply it to my face after a shower before bedtime, or even apply it lightly after a shower in the morning and let it sink in while I dry my hair, then I apply my sunscreen and makeup. I find in the harsh winter, that the Avocado oil gives a nice bit of moisture to my dry skin without making my makeup run or making my face greasy. Plus, right now, until January 2nd, it is on sale for 35% off! Style Chicks received this product for evaluation and testing purposes. However, our experience with the product and the opinions expressed in this review are 100% ours. Do you know what a lab Certified “Grade A” Shea Butter is? I didn’t, but once I learned, I threw away all but one of my existing Shea Butter products. From now on, I am not putting ANYTHING on my skin that isn’t “Grade A” Shea Butter. I don’t want any to use any Shea Butter that does not meet this high-grade standard once I understood what it means: a poor grade Shea is not just less effective, it could be moldy, rancid, or contaminated. I found that out when doing research about Smoothly Shea UnRefined Shea Butter, which is a very high-quality unrefined Shea Butter suitable for use on skin, hair, and for homemade Shea Butter items such as lip balms and soaps. 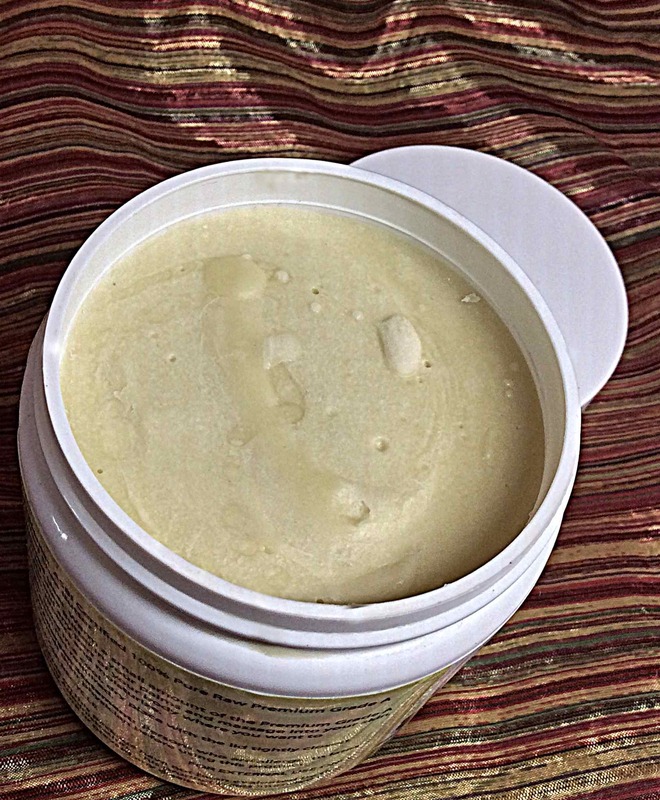 Unrefined Shea Butter has the important bioactive nutrients that refined Shea Butter lacks. 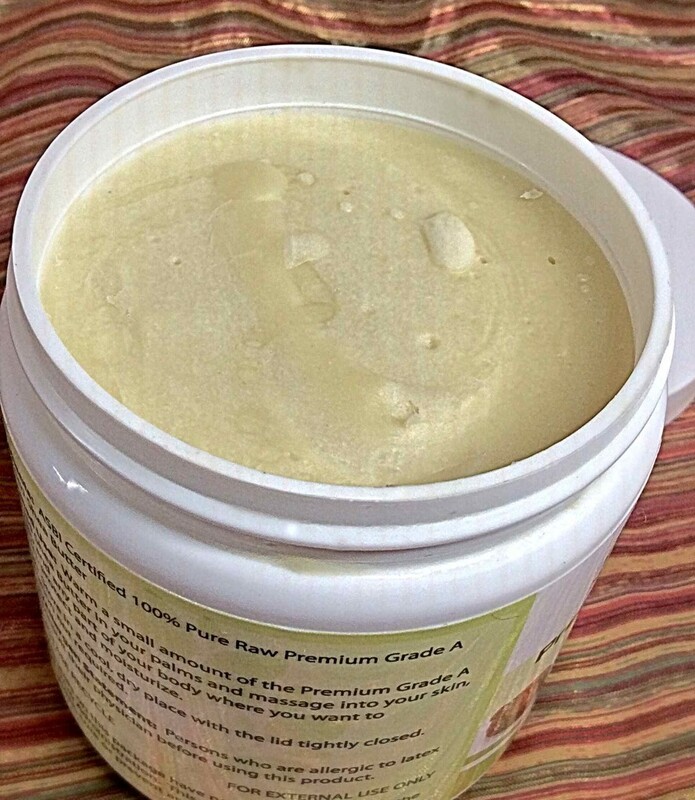 If your Shea Butter experience has been just okay, consider a quality grade unrefined Shea. I WAS RELUCTANT TO USE AN UNREFINED SHEA: HOW DO I KNOW IF IT IS ANY GOOD OR EVEN SAFE? I was leery about using unrefined Shea Butter not knowing if it is fresh, pure or even safe, so I did research. There is no governmental requirement to test Shea Butter, so some poor quality Shea, even rancid Shea, is indeed available for sale. So how does one go about finding a trustworthy unrefined Shea Butter? 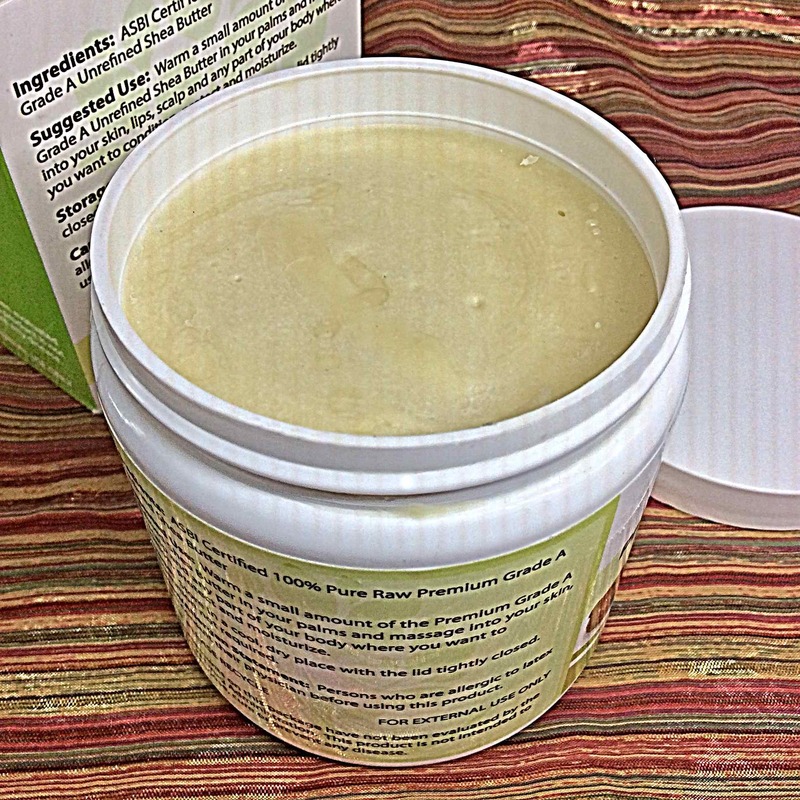 This article addresses two topics: How to find a safe, pure Unrefined Shea Butter and a product review of a Grade A Premium Shea: the Smoothly Shea Unrefined Shea Butter. IMPORTANT TAKEAWAY: Independent Shea Butter Vendors can get their Unrefined Shea Butter tested and certified for quality, freshness, purity, potential contaminants and overall safety. Smoothly Shea brand voluntarily submits their Shea Butter batches for testing and sells that which is certified with Premium Grade A. How do you know if a Shea Butter is old, contaminated, moldy, or if it has gone rancid or worse? Researching unrefined Shea Butters leads to the Shea Institute, an organization that tests and grades unrefined Shea Butter. Shea Institute gives independent Shea Butter vendors the ability to voluntarily test each batch and get a letter grade rating of the Shea quality based on these lab results. This means vendors can assure their customers that they sell only pure, fresh, quality unrefined Shea Butter free of preservatives and consumers can purchase pure unrefined Shea they trust that is a safe product. It is a WIN-WIN for independent vendors and consumers. This is a big contrast to many commercial products with Shea Butter in it. Because if a Shea Butter has gone rancid, the Shea Institute will assign it a grade of “D”, but that Shea can still be sold and used in product manufacturing. Few Shea Butters earn a Grade A certification. I have probably unknowingly bought some rancid Shea Butter products over the years, the rancidity masked by added fragrances such as lavender oil. One clue that a Shea Butter may be very old or even rancid if it causes acne breakouts, because an unrefined “Grade A” Shea actually TREATS acne. So I was impressed by what level of freshness and quality is entailed by qualifying to be a “Grade A” Shea Butter that from now on “Grade A” Shea Butter is the only kind I am going to buy. WHAT EXACTLY IS INVOLVED IN UNREFINED SHEA BUTTER LAB TESTING? This testing also includes testing for Lead, Mercury, Mold, Yeast, Products of rancidity, Coliform bacteria (Shigella, E.Coli, Salmonella, etc.) and unsanitary products. This addressed my concerns of how do I know I am getting a quality unrefined Shea that is safe for use on skin and is both pure and fresh. I didn’t even think about before now that Shea Butter COULD contain some of those things. Yuck. Smoothly Shea Unrefined Shea Butter is Certified Grade A and Certified Organic by the American Shea Butter Institute (ASBI). As a Certified Grade A Shea Butter, Smoothly Shea has not only passed freshness, purity and safety tests but surpasses levels testing for higher and better bioactive nutrients counts. With superior bioactive fraction counts, this leads to a more powerful Shea Butter to address issues like wrinkles, sunburns, scalp itchiness, acne, stretch marks, and insect bites. It can also be used as a shaving cream, for frost bite, and for cracked skin on the feet. 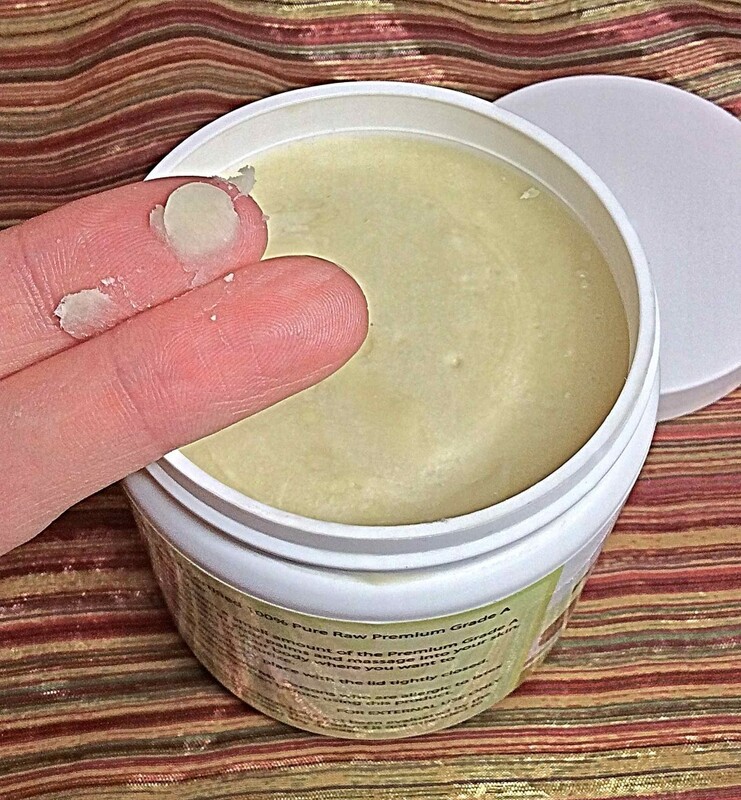 The protective barrier nature of Shea butter can be used for soothing chemotherapy burns. In this case, it is especially important to use an only a high grade, uncontaminated Shea. Other protective barrier uses include soothing psoriasis, dermatitis, and eczema. Shea Butter also soothes sore joints and is useful to apply before exercising and useful for those with arthritis. Shea is also used to moisturize hair and treat scalp disorders and is recommended for hair loss due to scalp conditions. Only small amounts are needed to rub between the palms to melt it (like coconut oil) and apply. It smells slightly nutty. As seen in the video, it takes a bit longer than lotion to apply, but less time than commercial product butter I have gotten at the mall. The color of Premium Shea is different than I expected, a golden-ivory, and the feel is completely different, it is not a hard waxy feel that is difficult to rub onto the skin, it melts on contact and is soothing when applied. MY SHEA TEST CASE: My feet are dry and cracked after a long hard winter, and it only took only a tiny amount to cover my feet AND hands. I have only used it a few times, but my dry cracked hands and feet look younger and feel much softer. It dries down to a non-greasy protective layer that you can feel and it visually leaves the skin appearing dewy but not fake-looking, just healthy. It lasted through several hand-washings during the day and my hands were still soft, which is unusual for me. There is a slightly remaining nutty scent that is a bit more fragrance than I tend to wear, but I think it would be acceptable for a scent-free office. Want to see the testing results for yourself? Smoothly Shea will make their ASBI premium “Grade-A” certification lab testing reports findings available upon request. I expected unrefined Shea to come in some large, messy plastic tubs where the Shea seems to have a waxy, lumpy cream cheese type consistency because that is what I have seen available for sale. So at first, I was surprised at an 8-ounce jar for the price. While it is an unrefined butter, it is firm, dense, and solid. This is not whipped or combined with any other ingredients. There are no additives or fillers, it is just the Shea. This is better to me than the larger tubs since I have no means of removing the impurities that come in these larger unrefined Shea tubs, I am happy to find a product from a vendor that removes all the gunk for me and sells me only the pure product: it is like a refined unrefined Shea – all the goodness of the bioactives in the unrefined with none of the unwanted risks. Most commercially available products from well-known brands such as L’Occitane and Sephora will use refined Shea. When I used these products, my skin and hair were softer but nothing special, not the fuss one hears about online about pure unrefined Shea Butter. And some Shea Butter products have given me acne and all my Shea Butters felt waxy after application, this one does not, it is soft and there no absolutely no waxy feel. Even with daily use, This jar will last me a while, but I would not hesitate to re-order it and I only plan on buying Shea Butter that displays a Grade A certification from now on. It is a smaller container than some Shea Butters which come in a larger vat but Smoothly Shea is pure and a little bit goes a long way. I prefer knowing it is the safety of a regulated product with all the goodness and quality of a natural and pure Shea. I am very pleased to have found this product and to know I should be selective in future my Shea purchases. Find it at Amazon.com – and don’t forget to use the coupon! I received this product in exchange for my unbiased review and I was compensated for my time and effort, however, my experience with the product and the opinions expressed in this review are 100% mine. Valentia Royal Rose Hydrating Serum is a light soothing serum for sensitive skin with great ingredients to support delicate skin. I have been using a Retinol at night paired with applying a Vitamin C serum during the day skincare program lately, and both require a very hydrating moisturizer to combat the dryness associated with retinol and Vitamin C. If a good soothing moisturizer is not used in tandem these anti-aging products can make skin dry during use and even appear temporarily older and make wrinkles appear deeper. 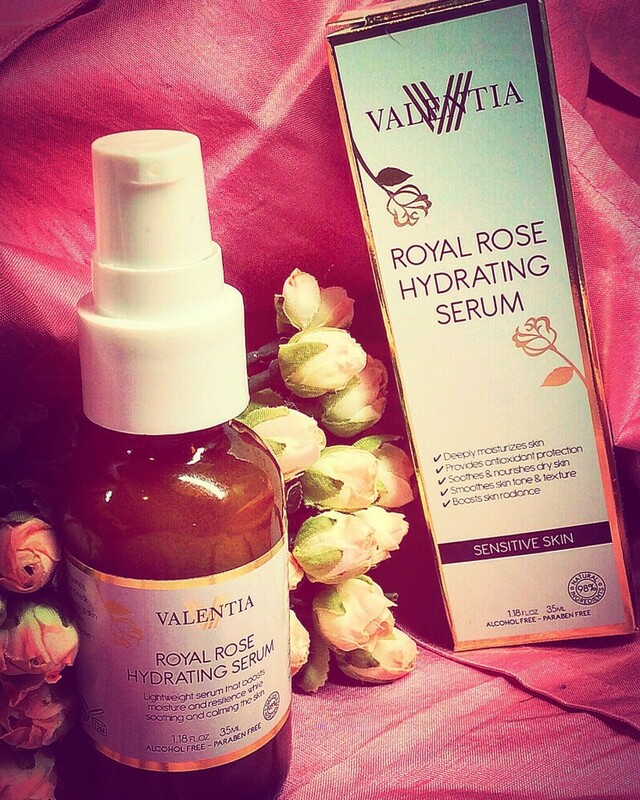 Valentia Royal Rose Hydrating Serum is a nice light moisturizer for the day with several ingredients to enhance the skin care regiment of someone with naturally sensitive skin or skin that is made sensitive by the use of various ingredients frequently found in anti-aging products. • Niacinamide (Vitamin B3) combats sallowness, wrinkling, blotchiness and the hyperpigmented spots in aging skin, especially in the thin skin of the eye area. • Bearberry promotes melatonin which lightens brown spots and acne scars. If you are not able to tolerate Retinol or Vitamin C, this serum is a viable way to address signs of aging like wrinkles, brown spots and moisture loss. If you can tolerate retinol, this is a great moisturizing serum to pair with them: it is lightweight and doesn’t clog skin, has great ingredients. The serum also contains lavender and rosehip oil. Both are very good skincare ingredients but the scent is notable in this serum, as would be expected for a Royal Rose product. I prefer not to wear scented skincare but that is just a personal preference. It is not an offensive scent and both are base notes for many fragrances, so it is not a conflict with your chosen perfume scent if you chose to wear this during the day. I received this product in exchange for my unbiased review. If you have any questions about my experience with the product, leave it in the comment box below and I’ll answer! Awhile back I went to my local Nars counter to restock on a few items and met a lovely makeup artist there. One of the products she introduced me to was Pure Radiant Tinted Moisturizer Broad Spectrum SPF 30 in Terre Neuve, which I didn’t purchase that day, but have purchased since and absolutely love it. Nars has since come out with a Matte version, so I thought it would be good to review the Radiant Version. I haven’t tried the Matte version but there are reasons I think I would stick with the Radiant one for now. The artist informed me it was a tinted moisturizer, but it is so much more than that. As the name implies, it has a Broad Spectrum SPF of 30, so it is really more of a SPF-moisturizer-skincare product that happens to even the skin. The skincare ingredients are also impressive: Botanicals and seawater work to reduce hyperpigmentation and hydrate skin, and it really does work as a surge of moisture to the skin. I’ve been using it for a couple of weeks now and I’ve never seen my skin get dry when I’m wearing it. My favorite use for Pure Radiant Tinted Moisturizer is around the eyes. Most products that are targeted as an SPF for the orbital area tend to irritate the eye area and eventually end up in my eyes, leading to irritation. Not only does this product stay in place and not irritate the delicate eyelid skin, it provides fantastic light coverage for circles, keeps the area moist and non-creased, and is a great eyeshadow primer. It really provides a radiance to the eye area, so if you are interested in an easy no-makeup look, this is a great product for around the eye. When I want more coverage or brightness I layer Nars Radiant Creamy Concealer in Chantilly over it. The color range for this product is great as well. Terre Neuve is the lightest shade with a neutral pink undertone. Very few tinted moisturizers go anywhere near the pink undertone range, which is why to date I have always ended up simply mixing in a matching foundation with my moisturizer, which never gives great results. I appreciate Nars giving a nod to us pale women with this product and the subtle undertone variations. Subtle enough, in fact, that Lyn was matched to Finland, which has both pink and yellow undertones in the lightest shade. She and I always end up getting matched to the same shade (we are siblings and all), but this product addresses the slightest of undertone differences. The only downside to the product is that the amount that one needs to use for proper SPF coverage results in a cakey, unrealistic foundation look if your skin is in the least bit dry which is why I plan on sticking with the Radiant version vs the Matte version for now. This doesn’t really bother me since I layer it on top of a regular sunscreen, and around the eyes it is better than not wearing sunscreen. But adding another layer of sun protection is always a bonus. All in all this is a fantastic product: it is a moisturizer that packs a punch, gives even tone to the skin, gives a nice layer of SPF, doesn’t irritate, and leaves a dewy, youthful finish. I’m very pleased I found it.